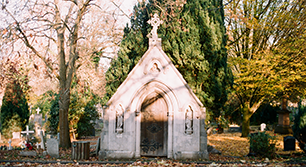 One of London's 'Magnificent Seven' cemeteries, West Norwood Cemetery has the privilege of historic monuments, catacombs, cremation plots and a columbarium within the crematorium. West Norwood Cemetery originally opened in 1837 with the later addition of the crematorium on site in 1915. The cemetery was one of the first Victorian cemeteries to open in London and is home to over 65 listed monuments. First known as the South Metropolitan Cemetery when it first opened, Lambeth Council took over management of the site in 1965. West Norwood Cemetery is currently closed to new grave burials. Exclusive rights of burial can be purchased for our cremation plots at the time of burial. 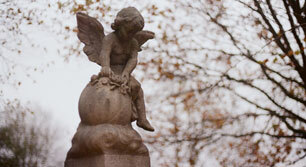 FOWNC aims to increase knowledge and appreciation of West Norwood Cemetery. West Norwood Cemetery has held the Green Flag status since 2016. The database holds details of all reused graves in West Norwood Cemetery. Find out more about this Heritage Lottery Funded project. Events at West Norwood Cemetery will be listed soon.